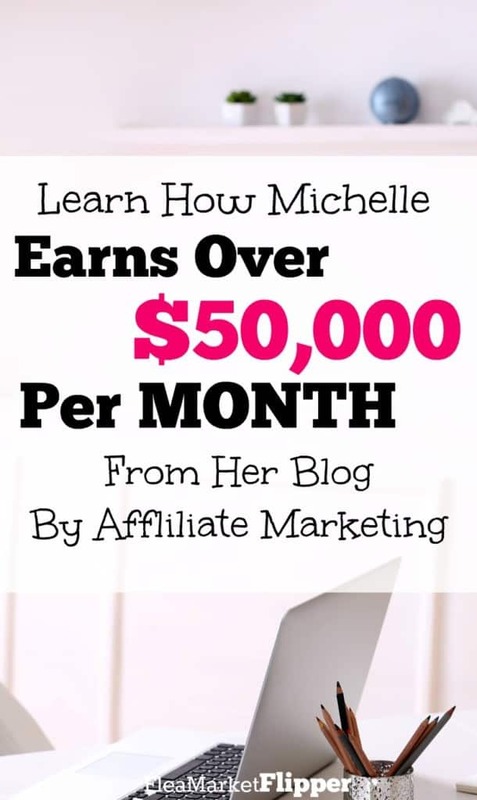 Learn how Michelle went from $0 in affiliate income to over $50,000 per month! Have you ever thought of starting a blog? Or do you have a blog and would love to make money with your passion? Then todays interview is for YOU! Today we are so excited to interview Michelle Schroeder-Gardner of Making Sense of Sense! She made $979,321 last year blogging!! Yes, you read that right. Almost $1 Million last year alone. We feel honored that she took the time to chat with us. Tell us a little bit about your background. When did you first start blogging and why did you start? Hey! My name is Michelle and I run the personal finance blog Making Sense of Cents. I created my website over 5 years ago with the aim of teaching people how to save money as well as journaling my personal finance journey after reading a magazine article that featured a personal finance website in one of their articles. I became very interested in that financial website and my interest in blogging just grew from there. This is interesting and hilarious because before that same summer, I had no idea about what blogs were, that they could even make money, or anything along those lines. So, my blog was all just a hobby. I never thought I would make money from it and I didn't even know that blogs could make money when I started mine. On my blog Making Sense of Cents, I talk a lot about different ways to make extra money, how to save more money, achieving your dream life, RVing (me and my husband RV full-time), and more. I love running Making Sense of Cents and I am very happy that this is now my full-time career, my business, and pretty much my life. You have a background in personal finance; did you intend to make money from your blog in the beginning? Nope, it was all just a hobby in the beginning! Was there a specific moment that made you think you could actually make a living blogging? It took me around 6 months to make $100. That first $100 lighted a fire and I became super interested in making money blogging once I realized that it was possible! You regularly post your income reports (which I personally love, because it’s very encouraging! ), did you ever expect to be posting an income report of $979,321 for the year?! Definitely not, haha. I had read other people's income reports and I still remember when I thought just $1,000 a month from blogging would be crazy. It's so interesting how much life can change in just a few years. If you could go back in time and tell yourself something when you were first starting your blog, what would that be? Since I started my blog as a hobby, I wouldn't change anything since my goals were different from then and now. If I were to do something different though, I would have started on WordPress! I'm so glad that I'm on WordPress now. You have been very successful in making affiliate income on your blog. When did you decide to make your course Making Sense of Affiliate Marketing? I can't remember when I decided to launch my course, but I do know why I did! I decided to launch my Making Sense of Affiliate Marketing course because I was constantly asked about affiliate marketing and how to make money blogging in this way. What seemed normal and easy to me, isn't easy for others, so I knew I had to create this course so that I could get my knowledge out. Affiliate marketing is great, and I want others to benefit from it as well! Now that you are location independent for work, you and your husband live in an RV. Was that his idea or yours? It was his. I didn't know anything about RVing and I had actually never been in one until we bought ours! Where has been your favorite place that you have stayed in the RV? I have so many favorite places! We love being in the mountains in Colorado, in the PNW, in the deserts in Utah and Arizona, and near the beach. Our favorite place is anywhere that's near a national park. Your course is VERY informative and valuable! Something that has just as much value is the Facebook group you have created with it! What do you enjoy most about that community of bloggers that you have created? Thanks so much! Yes, one of my goals with developing my course was to create a great community in the Facebook group. I love that everyone helps one another, that everyone has a place to get feedback and bounce ideas, and more. The Facebook group is a great place for any blogger to find ways to improve their blog. Who can benefit from your Making Sense of Affiliate Marketing course? – You want to start making money from your blog. – You want to improve your blogging income even further. – You want to earn income while you sleep. – You want to write a blog post and earn money from it for years down the line, with minimal work needed. – You tried affiliate marketing but haven’t had any luck. So if you have a blog or want to have a blog soon, this course is a MUST in my opinion! I only wish we had taken it sooner. Check out Making Sense of Affiliate Marketing TODAY! You can click over right HERE. Happy Blogging!! Our Interview with Michelle on her blog Making Sense of Cents.